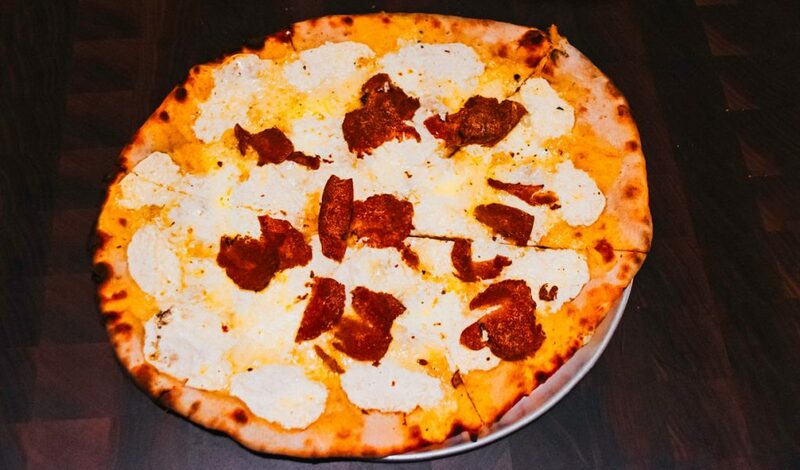 So, I know that you know that NYC is famous for amazing pizza. On a delayed flight recently, I met a couple from Germany who only had 2 days in NYC before returning home (they’d foolishly allotted a week for Florida, but only a weekend for NYC… really!? I actually teased them mercilessly about this faux-pas…couldn’t help myself!). 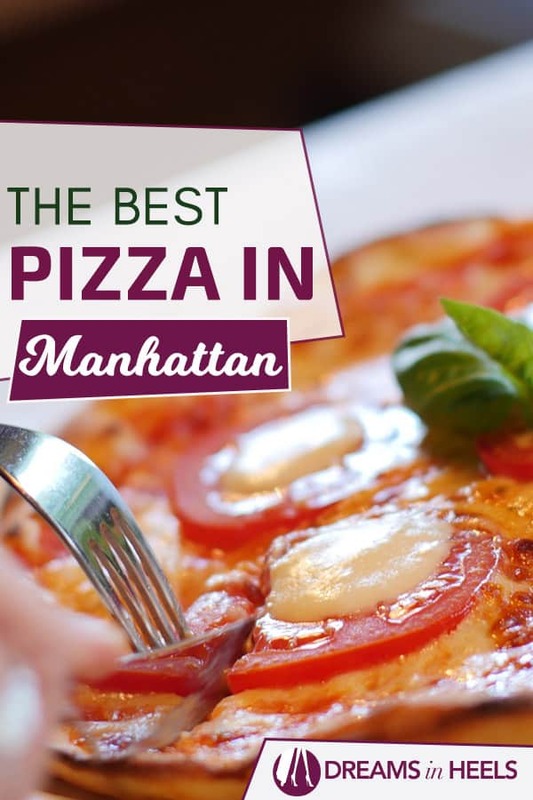 So, probably more out of guilt, along with my belief in good will towards strangers in need, I shared with them my top ten pizza spots, the best pizza in Manhattan! (since the husband was obsessed with eating pizza and hotdogs). 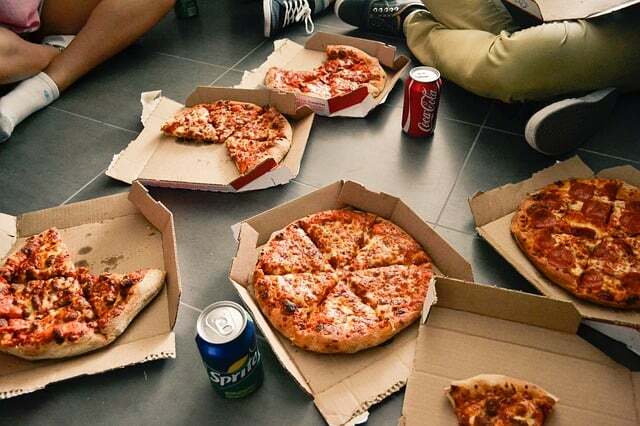 Now normally, I don’t like to share since I suffer from only-child-syndrome (don’t judge! ), but as my husband likes to remind me, “Sharing is caring.” Humph…jury is still out on that! Well, in the spirit of giving, I’m sharing my top 10 Manhattan faves here. Please know that I could probably list another 10 places that I love in Manhattan alone, but these are the top contenders because they are very different from one another. So, in no particular order…. Location: 2848 Broadway (btwn 110th & 111th Streets). 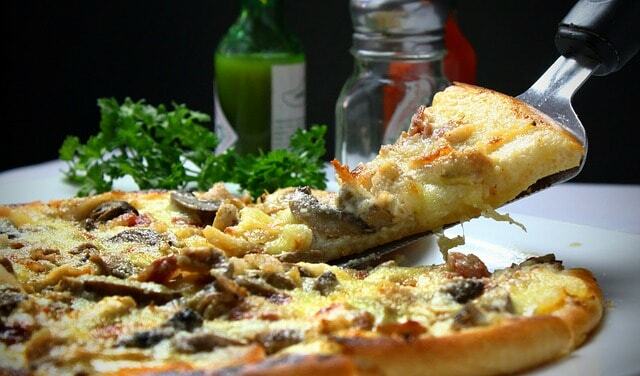 You can find more information about Koronet Pizza on their website. 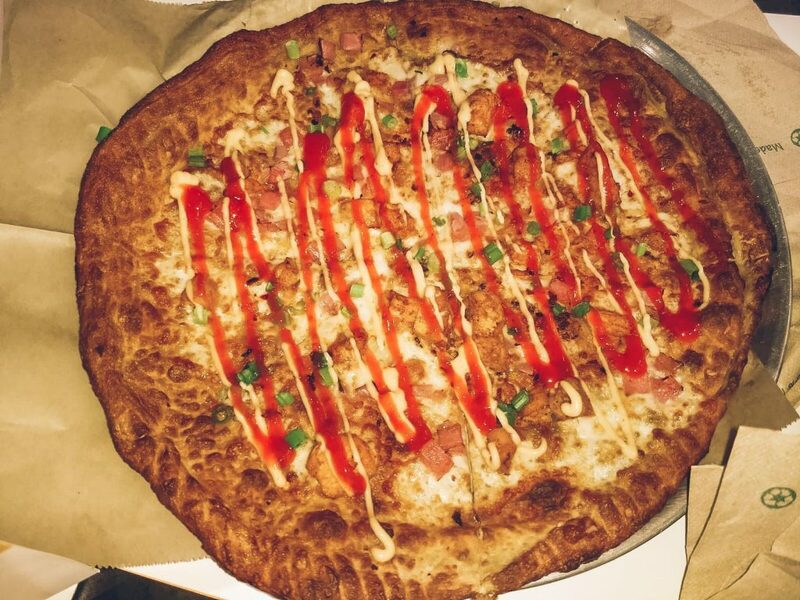 If you like a thinner, crunchier crust, then look no further than Spunto’s! 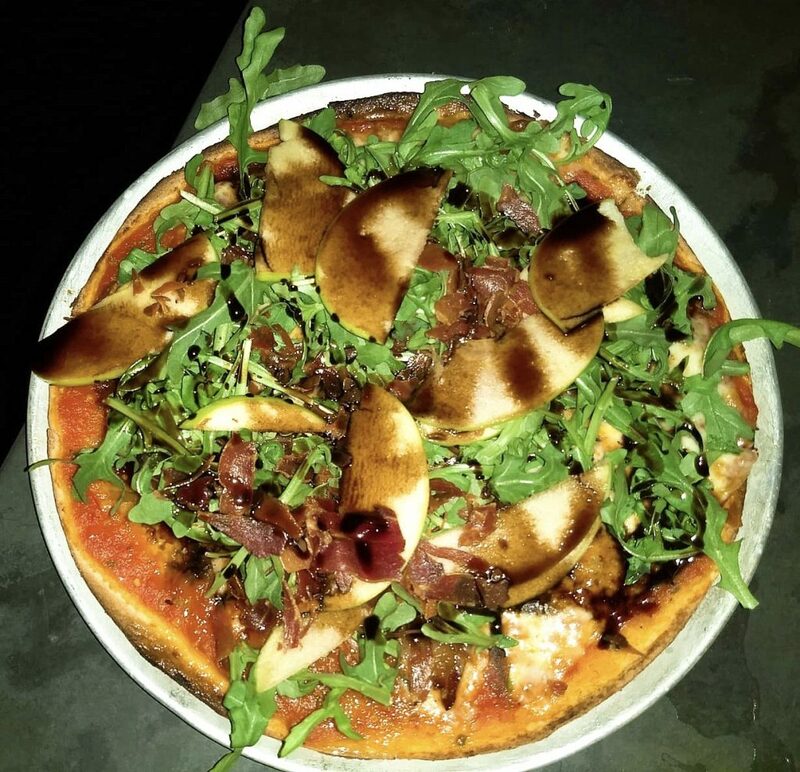 All of the toppings are fresh and my favorites are the shroomtown (3 different types of mushroom) and the Parma (green apple, bacon, arugula, balsamic reduction… perfect for the sweet and savory combo). Location: 65 Carmine Street (near the corner of 7th Ave South). You can find more information about Spunto on their website. You might also like: Local Guide to the best views of NYC for free – Chasing the Manhattan Skyline! 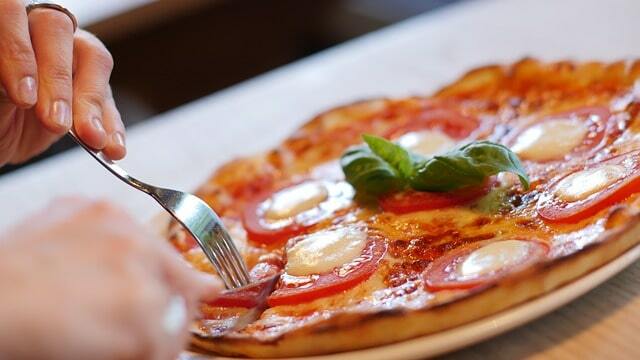 If you like your pizza with a little extra dough, then you can’t go wrong! Very romantic atmosphere and there’s a live jazz club downstairs (in case you want to extend the evening). I also love their pesto lasagna, especially with a basket of focaccia crispy bread (and they have good desserts too, including a sweet Nutella dessert pizza). Location: 129 MacDougal Street (between West 3rd and West 4th Streets). You can find more information about La Lanterna di Vittorio on their website. This is a no frills, wham bam, thank you ma’am kinda place. 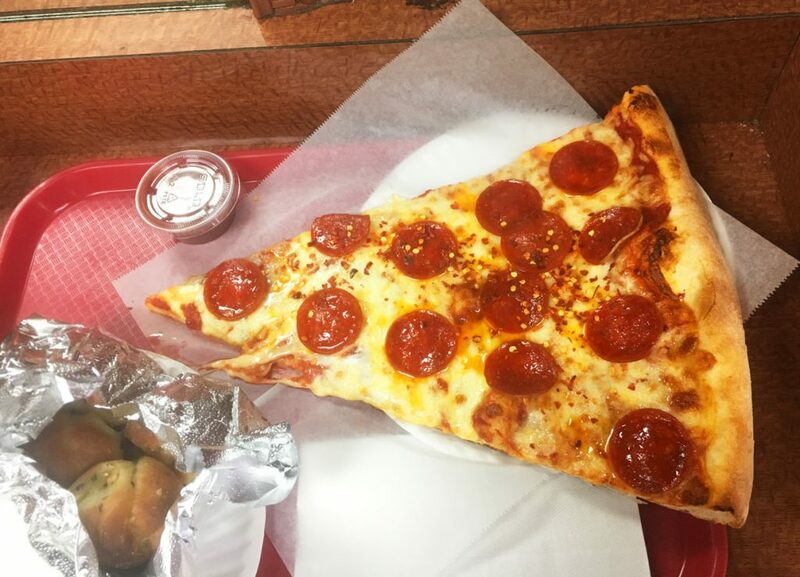 I like to grab a slice and sit in the square across the street. Yes, tourists go there but so do locals (especially NYU students). Long lines sometimes, so prepare yourself. And bring cash! Location: 7 Carmine Street (between Bleeker & 6th Ave). You can find more about Joe’s Pizza on their website. I don’t normally like “cash only” establishments, but this is an exception (but make sure to come loaded because it’s not sold by the slice and it’s not cheap). If you ever visited the Limelight for dancing (back in the day) or shopping (modern day) then you will know where to find Grimaldi’s. Their pizza tends to be a little on the dark side and their location is not so special, but there’s something about the coal-fired oven that makes all the difference (like the difference between BBQ’ing outdoors versus in your oven). Location: 656 6th Ave (between 20th & 21st Street). 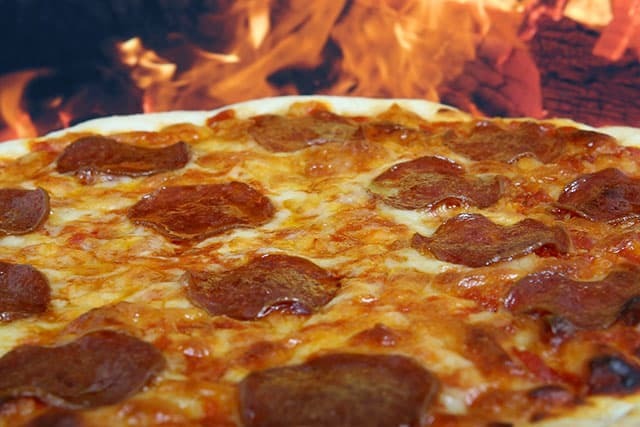 You can find more information about Grimaldi’s Pizza here. Another Favorite: New York Gift Experiences – Unique New York Experiences by a New Yorker! I don’t normally go for “chain” restaurants, since NYC is filled with some of the best eateries in the world, but Oath Pizza is definitely an exception for me. The crust as like a cross between regular dough and pastry; the Bella and the Spicy Mother Clucker are my favorites. I definitely recommend joining their rewards program too since you’ll save 50% immediately on your first pizza. Locations: The Upper East Side on 67th Street and Third Avenue (1142 3rd Ave, New York, NY 10065) and West 77th Street Location (2169 Broadway, New York, NY 10024). You can find more information about Oath Pizza on their website. With 3 locations in NYC, this local staple shouldn’t be missed. 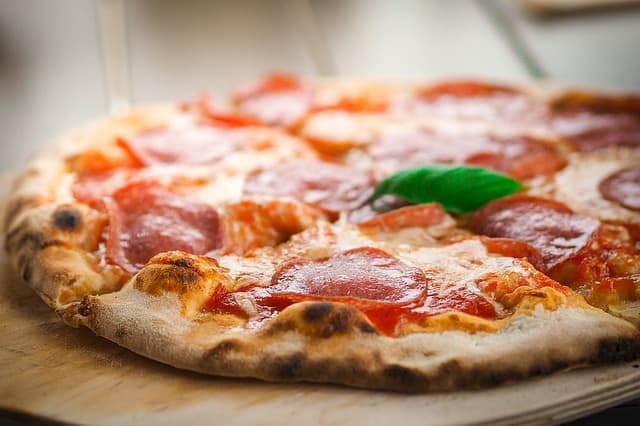 This pizzeria is known for its food as much as for its pizza, so feel free to indulge and enjoy the Italian entrees and desserts, but just don’t skip their delicious pizza. Locations: Turtle Bay (801 2nd Avenue,) The Upper West side (61 WEST 74TH ST,) and East Harlem Location (2287 First Avenue New York, NY 10035). You can find more information about Patsy’s Pizzeria on their website. You’ll definitely need a reservation for this restaurant, since it’s smaller and very popular. And if you feel like indulging on something unique (but also expensive at $75 dollars) consider ordering their white truffle pizza. They literally bring the pizza to your table and shave the truffle on top of it right in front of you…it’s an experience! Location: Marta is located at The Redbury New York Hotel, 29 East 29th Street (between Park and Madison Avenues). You can find more information about Marta Manhattan on their website. As you can guess, normally restaurants anywhere near Times Square are overpriced. However, this is one of the few remaining places where you can get a delicious pizza (and other food) for a reasonable price and then catch your Broadway show. Location: 358 West 44th Street (between 8th & 9th Avenues). You can find more information about Don Giovanni’s Pizza on their website. The three most important things that you need to know are (1) There aren’t many options to choose from but they have traditional and unique pizza combinations (but it’s not made to order) sold by the slice; (2) There’s VERY limited to no seating in most locations, so plan ahead on where you want to eat it (unless you are okay with just eating it outside, while standing on the sidewalk) and (3) There’s usually a long line outside the door, so I hope that you aren’t in a rush to get anywhere else right away. Location: They have 10 locations in NYC. You can find more information about Artichoke Pizza on their website. 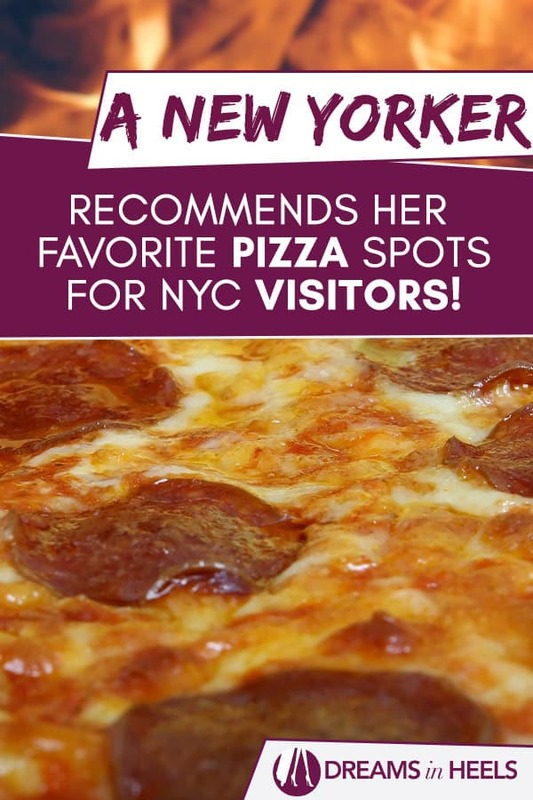 Feel free to share your favorite pizza spots below…we New Yorkers take pride in our amazingly varied food options – especially in our pizza! Mangi, mangi! This is a contribution from Olga Maria’s best friend, Denise LJ. A native New Yorker – true Nuyorican (born, raised and still living in NYC). Proud wife and momma to a beautiful kitty cat. Enjoyed reading this post? Save it for later on Pinterest! Dreams in Heels is a Trendy Blogazine focusing on Fashion, Beauty, Travel, Culture and Lifestyle. Dreams in Heels was created for those adventurous souls that travel to be free, to enrich their mind, body and soul. For those dreamers who are wondering if traveling is for them and/or where to go on their journey. 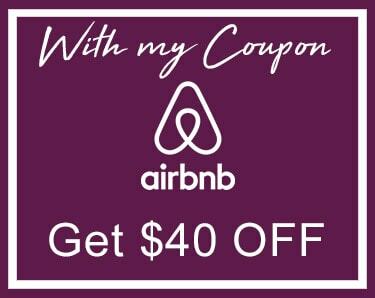 Brought to you by a free spirit traveler fashionista that is living her dreams in heels. Dreams in Heels adds a touch of fashion, glamour, flavor and passion for life. It delivers budget tips, exclusive deals, elite festivities and worldwide culture! Sign me up for fashion/beauty/travel tips, giveaways, events and more! Living my Dreams in Heels! My name is Olga Maria. I am a New York City and Europe based Latina Travel and Lifestyle Writer, Editor and Digital Nomad. 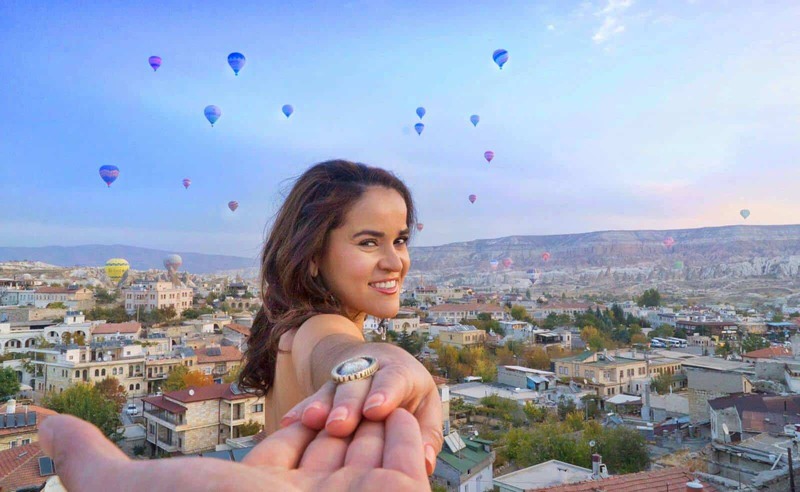 Join me on all my adventures around the world via @dreamsinheels. I hope to inspire you to expand your horizons and get out of your comfort zone. Berlin Insider tips: Visiting Berlin, Germany for the first time! International Beer Day: Beer Enthusiasts – Go Beer Tasting, sampling the world’s best! Subscribe to my Newsletter for new blog posts, tips & photos. Let's stay updated!